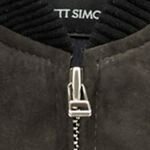 Affordable Fall Staples - Beckett Simonon | Valet. Three smart items to get you through the cooler weather looking sharp. Beckett Simonon is never done experimenting. The direct-to-consumer brand first made a name for themselves with a line of reasonably priced fine footwear. Then they expanded into outerwear and started innovating and refining the construction of their shoes. The benefit of selling straight to your customers is that the instant feedback can be invaluable. Recently, Beckett Simonon revamped their business model in order to up the quality but keep the prices fair. Each month, they design new products with a strong focus on quality and design. When the month ends, the orders are grouped together and manufacturing begins. The result? Items that are made to order with an incredibly high attention to detail at much better prices. Because there's no expensive inventory or middlemen inflating the costs, each product is made just for you at wholesale prices instead of retail. Or as co-founder Andres Niño explains it: "It pays off to be patient." This month, the brand is introducing a range of autumn essentials to get you through the next six months and beyond. 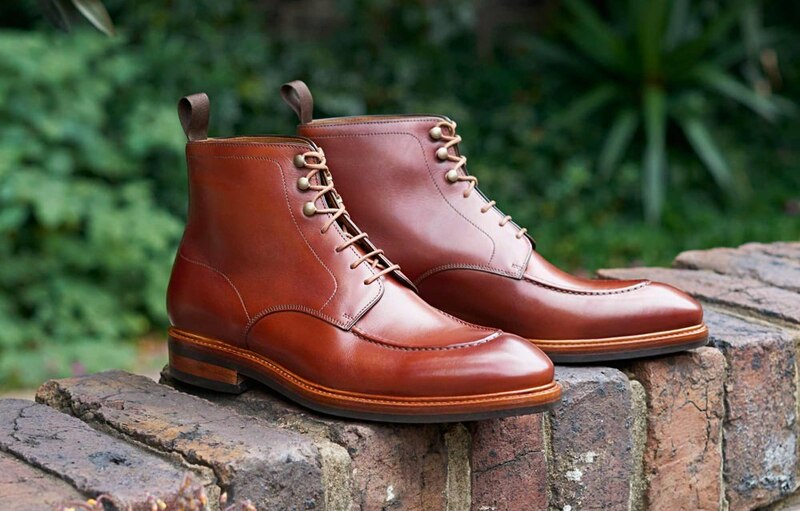 This refined version of an old school work boot will prove to be your go-to footwear choice for the colder months. Handmade in Portugal by expert cobblers with over three generations of experience in the craft, the boots are available in three shades of leather. The comfortable anti-slip soles will ensure you can wear them in inclement weather and because the soles are blake constructed, they're flexible and able to be resoled. 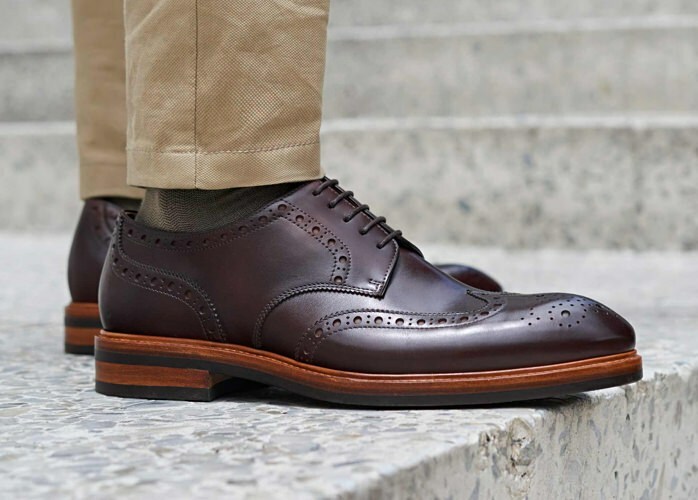 Made at the same family run factory in Portugal as the boots, these dapper wingtips are constructed using extremely durable Italian leather on the outside along with a softer full leather lining. A grippy studded sole toughens and assures every step while adding a dose of casual comfort to these lightweight shoes. The adaptable footwear pairs as well with your well-worn jeans and a sweater as they do some dapper flannel trousers and a blazer. 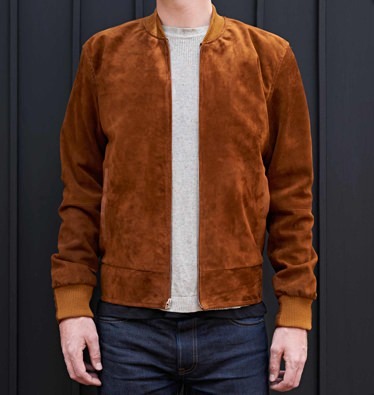 Relaunching one of Beckett Simonon's most popular products, this bomber jacket is cut in a sleek, tailored fit from extra light but remarkably durable Argentinian Calf suede. Stitched by hand at a family-owned factory in Bogota, Colombia, it's finished with an extra breathable acetate lining and sturdy Japanese made YKK Everbright zippers that will last decades (if not longer). The brand offers an impressive 120% refund policy. They refund the purchase price in full, plus an extra 20% in the form of a Beckett Simonon gift card for a future purchase. 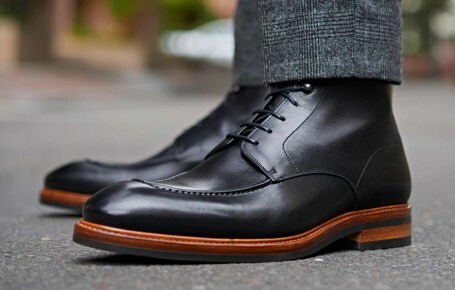 Derrick Miller, of Barker Black on how to get the most out of shoes. How Beckett Simonon re-examined every detail of their shoes to make them fit better, last longer and feel more comfortable.